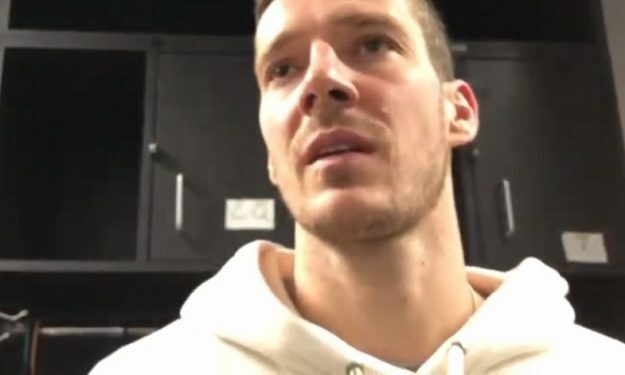 Eurohoops TV caught up with Miami Heat combo guard Goran Dragic, who spoke about fellow Slovenian sensation Luka Doncic. Goran Dragic knows Luka Doncic as few others do. Roommates with the National Team of Slovenia and together in the team for so long, Dragic knew very well what to expect from the 19-year-old in the NBA, hence he was not surprised, as he told Eurohoops. “He doesn’t surprise me. I’ve known him since he was a kid and we’re together until now with the national team. It’s nothing new”. As for whether they keep up their contact, the Heat played explained: “It’s hard to stay in touch, he’s very busy, but we talk. Before coming here, he was asking me about the NBA and I tried to give him good info on it”. Here’s what Dragic had to say about Luka, his season with the Heat and also the Slovenian national team which missed the FIBA World Cup.